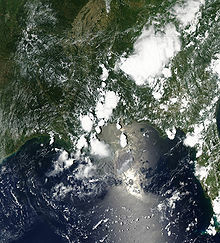 Public outrage mounts with every successive failure to mend the gaping wound in the Gulf of Mexico seabed. Struggling to affirm his leadership in the spill’s wake, President Obama recently described the disaster as “an environmental 9/11,” underscoring the need for a bold new energy-environment policy. Is this simple hyperbole aimed at distancing the Oval Office from the perceived incompetence of BP executives, not to mention his predecessor’s disaster-relief experiences on the Gulf Coast? Will the Gulf oil spill be as defining a moment for the Obama presidency as 9/11 was for Bush the Younger? Perhaps not. But the environmental-policy landscape has clearly been changed irrevocably. Of course, much of Canadian security and foreign policy post-9/11 was forced to respond, if not always mimic, the American experience: military engagement in Afghanistan but not Iraq, security certificates, public debates about the place of people with names like Arar and Khadr in Canada, and now Afghan detainees running into fundamental constitutional matters. What will the environmental 9/11 mean for Canada? Offshore drilling in Newfoundland and the Arctic? The Tar Sands? How will Stephen Harper’s plans to make Canada an energy superpower be affected? Such questions are just as pertinent here on the west coast, with controversial plans for a pipeline across Northern British Columbia to provide the Tar Sands access to the Pacific Rim market. Anxiety over the well-being of the BC Coast was already at high enough levels before the BP spill. Now, no doubt responding to the changing political climate, the federal Liberal party has officially endorsed a campaign to ban oil-tanker traffic on the BC Coast. The Conservatives have already made clear the importance of aligning Canadian and American policies regarding energy and the environment, but will this attitude continue if the Obama administration successfully passes decidedly anti-fossil fuel legislation? With the NDP already on-board, the tanker ban and Canadian energy-environment policy in general will likely become a major political battleground in the coming months. Of course, many now look back at 9/11 as a double tragedy: A massive loss of life followed by an even greater missed opportunity, the Bush administration’s polarizing and militaristic response amidst a global outpouring of goodwill. In years to come will people on both sides of the border and around the world look back at the Gulf Oil spill as a similarly senseless tragedy? For another post on ActiveHistory.ca related to the BP oil spill see Dana Johnson‘s Historical Perspectives on Oil Gushers, posted May 2010.